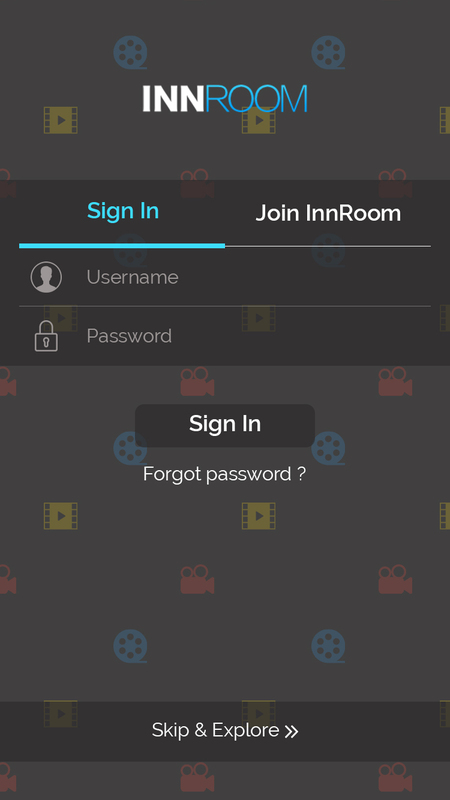 InnRoom – First Run Movies in Hotels Only! InnROOM was with the traveler in mind! 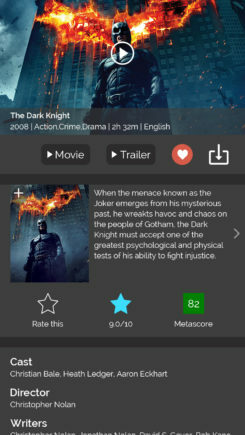 Watch your movie for 24 hours, streamed via WIFI during your hotel stay, or use your cellular data if you wish (cellular data costs apply). 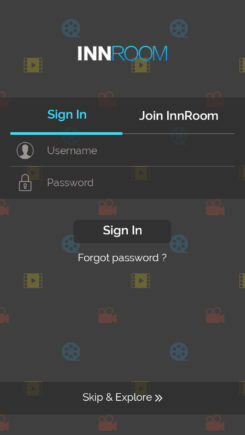 InnROOM works if you are on any hotel property. If you go beyond the allowed distance from the address, the video will stop playing! Our dynamic streaming video player senses your WIFI quality, and automatically sets the video quality to minimize buffering/stalling of the video! Once rented, you have 24 hours to view your movie. After the 24 hours pass, the video will automatically be deleted! 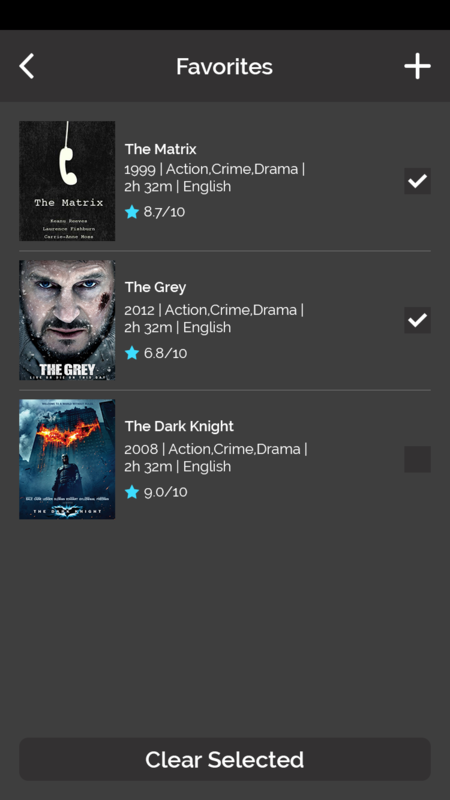 A beautiful, clean and simple app! Nothing beats a good movie at the end of a long day of travel? Skip the drive to the theater. Save on that $10 popcorn. Maybe you're away on business. Or maybe its a family vacation and you need to keep the kids attention at the end of the day with a movie! 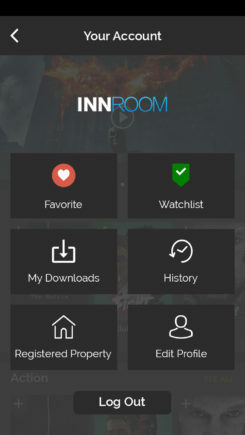 Now there's a "hotel-only" source of movies: The InnROOM app! 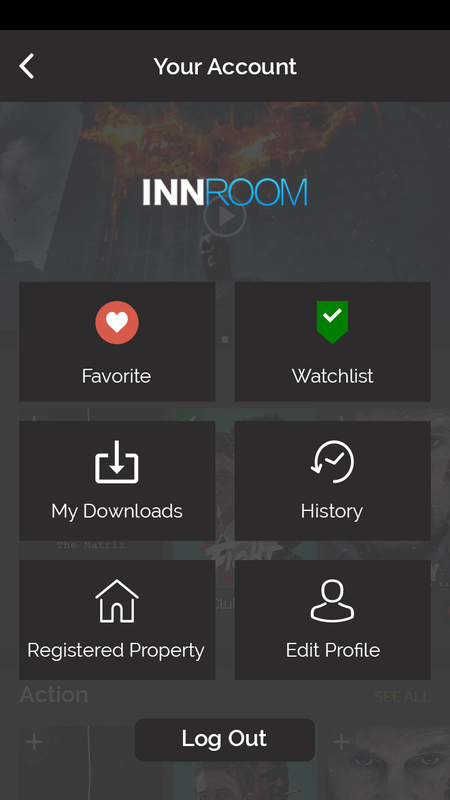 InnROOM has worked closely with the movie industry to treat hotel rooms like a theater! 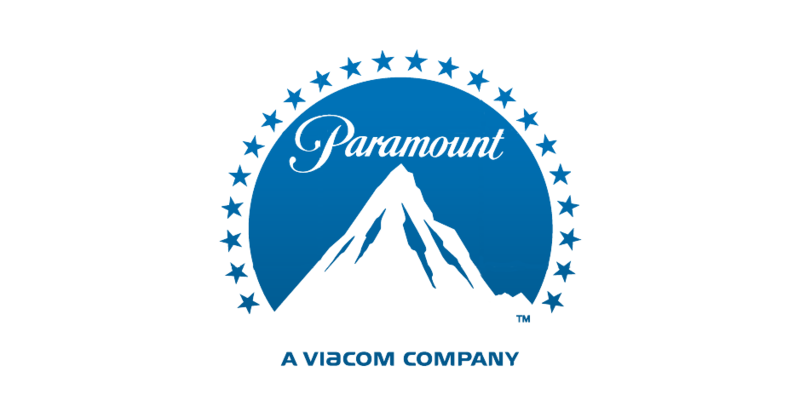 We've negotiated with some of the leading studios and movie distributors to offer you fantastic movies that are as current as possible! 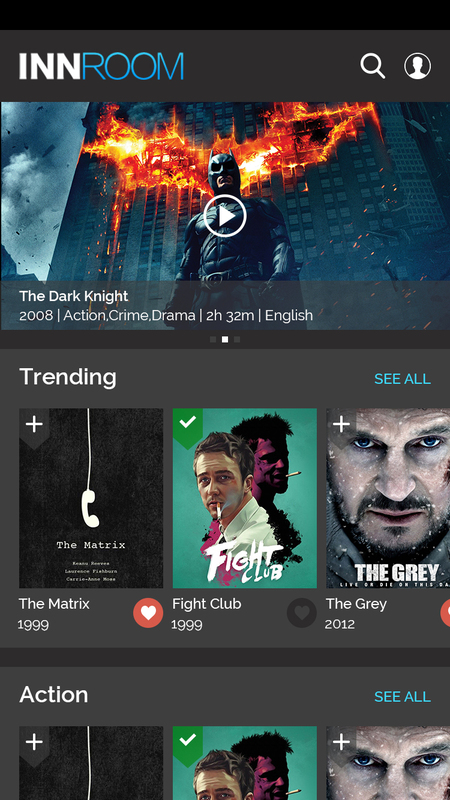 We then set off to build a very special technology into a mobile app, that monitors your location during viewing. This assures the movie-houses that we're keeping our word, that our viewers only view from hotel properties. All you need is internet access! 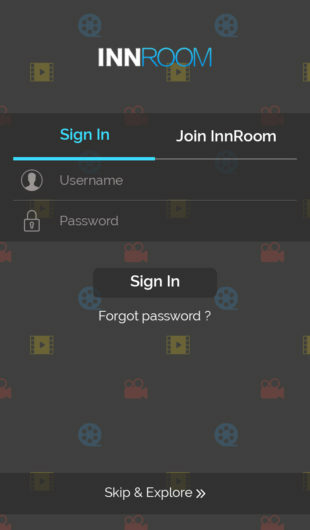 (WFI or Cellular) and the InnROOM app! 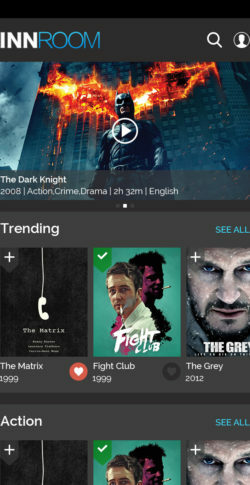 Works on Android and Apple mobile devices! 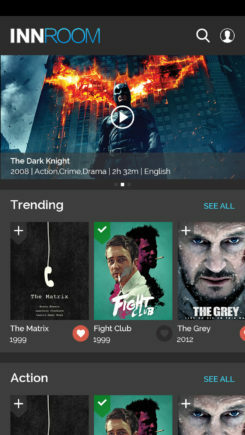 Give us your email address and we will notice you everytime we got new updates and movies that come available on the app. Don’t worry we hate spam as much as you do.